Added on March 26, 2019 by Jacquelyn Gleisner. "near orbit: in state, on paper" is a focused yet freewheeling survey of recent works by artists based throughout Connecticut, slightly complicated by the inclusion of one historical work by William Kent, a Yale-trained musician but self-taught visual artist who worked in New Haven and Durham from the late 1940s till his death in 2012. The Kent work ("Leave The Moon Alone! ", 1964, embossed print from carved slate) came two years after his discovery of Pop Art in New York galleries and an iteration of the print was included in the 1966 Whitney Annual. It serves as a talismanic presence in the exhibition and a leaping-off point to muse on the range of options of engagement with Art World currents available to artists within the daytrip radius, the transmission of ideas and influence, and notions of freedom and dispersion." 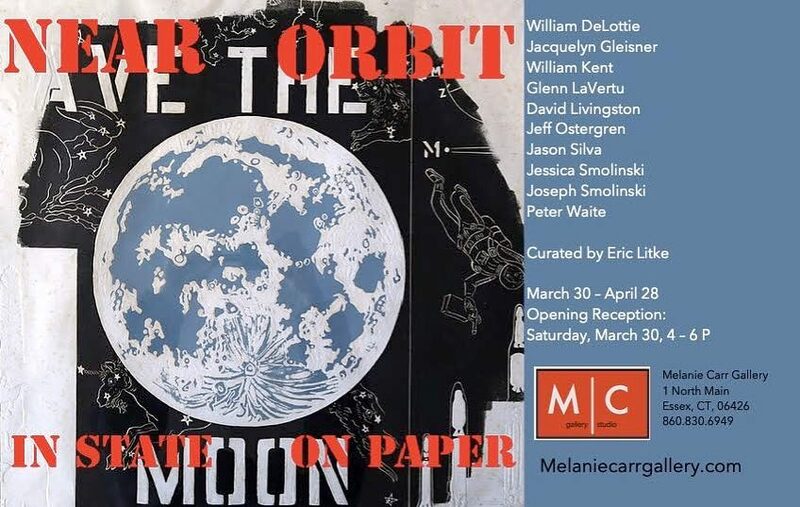 Opening Saturday, March 30, 4 - 6 p.m.